How to add calculated measures (Excel 2010)? Power users in your organization/company are developing Excel 2010 reports against OLAP Cubes. They want to add their own calculations for analysis. BUT Excel 2010 does not allow end-users to add their own private MDX calculations. 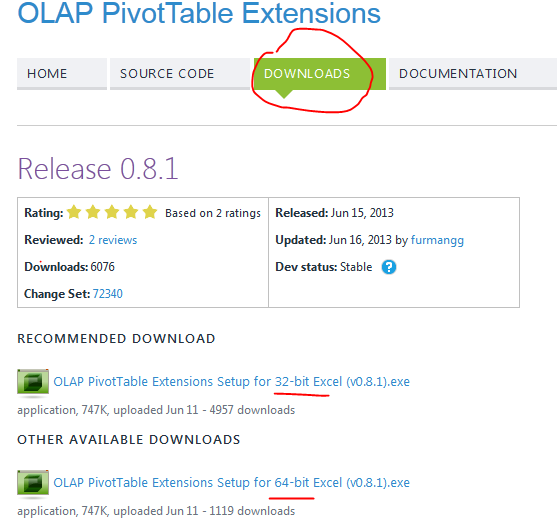 Download URL: http://olappivottableextend.codeplex.com/ > Navigate to Downloads Tab & install the right version based on your local excel version. In my case, I had 64-bit excel so I’ll download the 64-bit version of OLAP Pivot Table extensions. Let’s add a simple measure that calculates the difference between two measures. 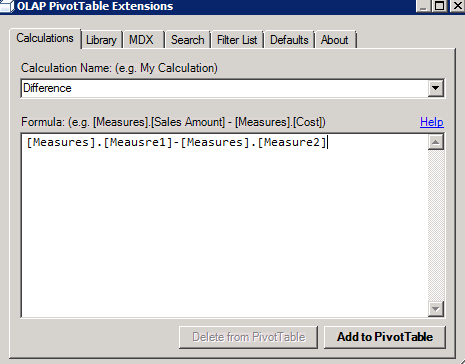 You can now see that the calculated measure Difference got added to the Pivot Table! 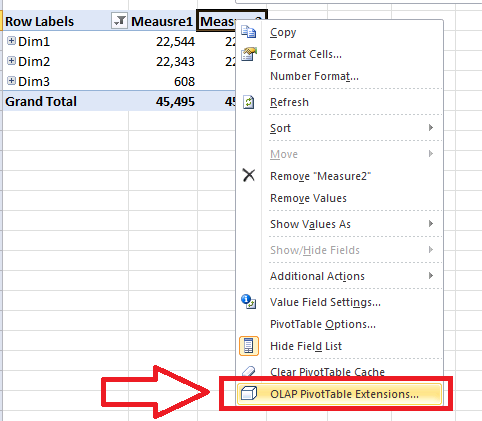 1) OLAP Pivot Table extensions is not supported by Microsoft. It’s a community software. 2) To maintain the single version of truth (after all that’s why you create cubes/Data-warehouse’s! ), it’s recommended that calculated measures that end users want in the cube. In this post we saw a very common question “How to add calculated columns” asked by Power users about excel while they analyze data from SSAS cube.